For the past 25 years Nicholas Fyfe the founding member of Wheelscape had been addressing the community youth needs by focusing on the provision of wheeled sports facilities. 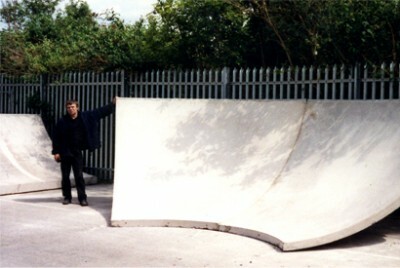 Wheelscape experimented with metal, wooden and concrete ramps and bowls throughout the UK. In 2002 Wheelscape begun experimenting with pre-cast concrete moulds believing that it was an efficient way of providing better value for the community. Moving on, from 2006 Wheelscape focus exclusively on free-form in-situ concrete construction. This was due to being more involved in community consultation with user groups leading us in progressive directions. Repeatedly we would be asked for unique designs with different elements and pre-cast just doesn't deliver that flexibility. It became evident that greater innovation in design and construction was what user-groups truly desired.